Three steps forward for disability rights! Equal rights for animals - they never warm them for humans! Because all homeless people have smartphones. 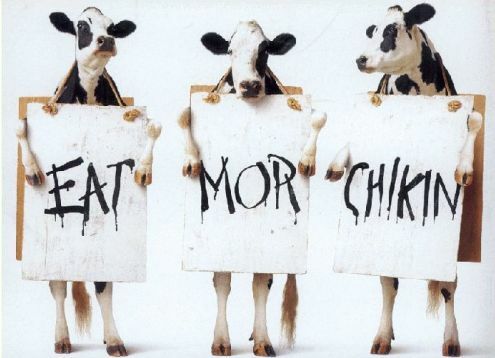 Thanks to site visitors who have told me this picture was used by Chick-Fil-A Restaurants in their advertising. I have contacted them for permission to keep using this photo. Please visit them here.